As a Tory Senior Sale, you will flex between supporting the front of house and back of house operations. This may include acting as a greeter, runner, cashier, answering phones, understanding and executing operational policies and procedures. You will need to be a highly motivated, efficient, flexible individual who is comfortable multi-tasking in a fast paced environment with constantly changing priorities, being a leader in-store. Responsibilities Operational Excellence Adhere to all sales and operational policies and procedures are maintained with a focus on excellence. Accurately process all POS transactions and capture of customer information. Have a proper understanding of the radio communication and all technology tools used in the store. Ensure accurate processing and documentation of all incoming and outgoing shipments and receipts. Assist when necessary with operational and back of house activities, taking ownership for maintaining a high standard of back of house and offsite storage organization. Process and prepare merchandise for the sales floor, communicating new receipts and inbound merchandise with the team. Assist with store maintenance needs and supply ordering. Protect our assets by adhering to all loss prevention policies and procedures. Detail oriented with ability to multi task and prioritize work to produce desired outcomes Be Buddy/Team Player Lead by example and model behavior that reflects the company’s core values. Appropriately manage conflict and take ownership for your part in the team dynamic. Demonstrate a high degree of maturity and integrity. Partner with the leadership team to ensure effective store communications, including but not limited to the cascade of key information from corporate partners and execution of company guidelines. Identify opportunities to support the team in delivering a transformational experience. Contribute to a positive atmosphere that is fun, professional, productive and team oriented. Support the Customer Experience Lead by example to create an environment that consistently delivers transformational customer experiences. Greet and connect with the customer by offering beverages, providing iPads, and answering questions. Assist sales associates through seamless communication and follow-through on customer requests to drive a transformational experience for every customer. Ensure a high level of customer service through extensive product knowledge and product ownership. Accurately process all POS transactions including ringing transactions, wrapping merchandise,processing returns, applying discounts and promotions, etc. Assist when necessary with operational activities. Run product to the floor, ship product to customers, and conduct transfers and markdowns per Store Communications directives. Have a proper understanding and be able to train on the radio communication and all technology tools used in the store, using proper etiquette. Partner with the leadership team to address customer service issues, particularly in the areas ofproduct Answer the telephone using proper telephone etiquette. 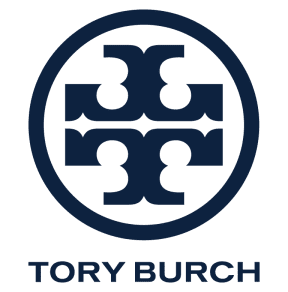 Represent the Brand Understand and communicate the Tory Burch brand philosophy and lifestyle with each other and the customer. Emulate the brand aesthetic and embody a strong sense of fashion and an enthusiastic attitude. Contribute to maintaining all brand and operating standards to support brand consistency. Assist in maintaining store presentation standards including replenishment and folding, taking initiative during down-times andacting with a sense of urgency during peak periods of business. Leverage in-store technology to ensure every customer’s experience is transformational. Qualifications EXPERIENCE 2-4 years of experience in a high volume, customer-driven retail environment, stock-related experience a plus. REQUIREMENTS Must have open availability for a flexible work schedule that meets the needs of the business, including overnights, evenings, holidays and weekend shifts.